Bulakhovsky, Leonid [Bulaxovs'kyj], b 14 April 1888 in Kharkiv, d 4 April 1961 in Kyiv. (Photo: Leonid Bulakhovsky.) Outstanding Slavic linguist, from 1921 professor at Kharkiv University and, from 1946, at Kyiv University; member of the Academy of Sciences of the Ukrainian SSR from 1939 and director of the Institute of Linguistics of the Academy of Sciences of the Ukrainian SSR from 1944. A student of Stepan Kulbakin and Ya. Endzelin, Bulakhovsky was a typical representative of the neogrammarian school, which emphasizes comparative studies. The merit of Bulakhovsky in this regard was his broad study of Slavic accentology (he conducted studies in Polish, Czech, Bulgarian, Serbian, Russian, and other accents). In the history of the Ukrainian language his main works are Pytannia pokhodzhennia ukraïns’koï movy (The Question of the Origin of the Ukrainian Language, 1956) and a series of smaller studies published posthumously in the collection Istorychnyi komentarii do ukraïns’koï literaturnoï movy (A Historical Commentary to the Ukrainian Literary Language, 1977). Bulakhovsky's historical studies are free from distortion of facts for the sake of political conformity and in this respect are unique for the time of their appearance. However, they are built on limited data—dictionaries and modern fiction, as well as comparison with other Slavic languages—and give little attention to Old and Middle Ukrainian texts; furthermore, Bulakhovsky's knowledge of dialects was only secondhand. As a result his studies include certain unjustified hypotheses (eg, his attempt to tie the development of o and e into i with the new rising pitch in Slovene and Serbo-Croatian and other ‘fictions of comparative linguistics’). 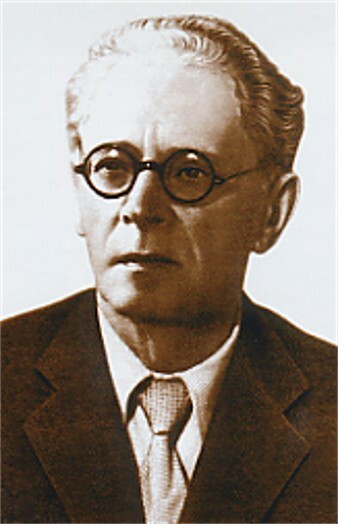 In studies of modern Standard Ukrainian, Bulakhovsky's main achievements were two collective works that he edited—Pidvyshchenyi kurs ukraïns’koï movy (An Advanced Course in the Ukrainian Language, 1930) and Kurs suchasnoï ukraïns’koï literaturnoï movy (A Course in the Contemporary Ukrainian Literary Language, 2 vols, 1951–2). He was also the originator and editor of the Ukrainian orthography mandatory in the Ukrainian Soviet Socialist Republic since 1946, which was modified only in the 1990s. Five volumes of Bulakhovsky's selected works were published in Kyiv in 1975–7.